For decades, an index has reported prices for recovered plastics in Canada’s most populous province. The group behind the sheet recently evaluated how it compares with other market reports. 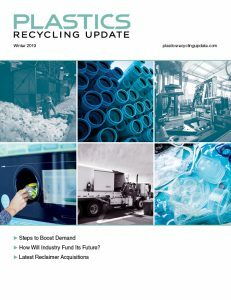 The Continuous Improvement Fund (CIF), an Ontario, Canada group funded by producers and municipalities, publishes a sheet showing how much money recovered PET, HDPE, plastic tubs and lids, mixed plastics, and films are trading for across the province of over 14 million people. It is prepared by consulting and research firm Reclay StewartEdge (RSE), which receives pricing information voluntarily and confidentially. China’s decision to curtail recovered material imports led to market volatility and pricing swings across North America. As a result, CIF heard concerns about whether its price sheet was accurately reflecting changing paper values. So the group paid $9,000 Canadian to have RSE review its methodology and compare the sheet with indices from RecyclingMarkets.net and RISI Pulp and Paper Week from January 2015 through June 2018. For most large-volume plastic commodities, such as PET and HDPE, the CIF Price Sheet followed the other two fairly closely. The greatest variances were seen in the smaller-volume commodities with limited markets, such as Nos. 3-7 plastics, films and polycoat containers, RSE concluded. That’s to be expected, because local market conditions drive big differences in the composition of those bales.